StripHair ™ Gentle Groomer is the popular and innovative successor to the StripHair ™ Gentle Grooming Kit. One unique multifunctional all-in-one groomer that can be used for many kinds of coat care throughout the year. The massaging effect improves blood circulation and thus ensures a healthy, shiny coat. StripHair effortlessly removes loose hair, excess sebum, skin flakes, sand, dried mud and sweat patches on the entire body. Use StripHair when washing and then as a scraper. 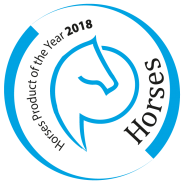 Contains no sharp parts, is safe and very suitable for sensitive horses. StripHair is durable, non-porous and is therefore hygienic and easy to clean.